RESPECT THE DOJO – BOW when entering and leaving the training area. Always keep the dojo neat, clean and orderly. Place shoes and karate bags neatly in designated area. Don’t wait for someone to tell you to clean up, do it yourself. Parents are encouraged to watch and observe any class. Please be respectful and No Talking while class is in session. Please keep younger siblings under control. COME TO CLASS 5 – 10 MINUTES BEFORE CLASS BEGINS – When class is in progress, student who arrives late should meditate, warm up if necessary, then join the class in a quiet and orderly manner. Students should arrive to class 5 – 10 minutes before class begins. Please kindly wait outside for class or private lesson to finish before entering the Dojo. TRAIN REGULARLY – Success is all about time and effort. If you do not train regularly you cannot lay a good foundation in basics and progress. You also risk losing the rank that you presently hold and delay further promotions. Promotions to higher belts require a minimum of 2 classes per week. PAY ATTENTION – By listening carefully to the Sensei you can avoid careless mistakes which may cause injuries, and you can also pick up pointers which help you to improve your techniques. DRESS CODE TAKE PROPER CARE OF YOUR UNIFORM – A dirty, wrinkled uniform reflects badly on you as a student. Wash uniform regularly. Karate uniform must be neat, clean and pressed for all karate classes. Fold your uniform properly after practice. White T-shirts and sport bras only may be worn under karate gi. ABSOLUTELY NO HORSEPLAY IN THE DOJO – The atmosphere of the dojo should be serious in order to avoid needless injuries. No one should engage in free sparring below the rank of brown belt (3rd KYU) without the supervision of an instructor. 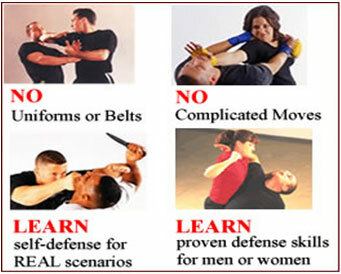 REMOVE JEWELRY IN THE DOJO – Jewelry can get caught in a uniform and lead to unnecessary injury to oneself or a partner.